April 17, 2013 by Ecommerce News. About Statistics with tags Spain. 2819 views. April 16, 2013 by Ecommerce News. About Online store with tags Italy. 2461 views. April 15, 2013 by Ecommerce News. About Software with tags Sweden. 5550 views. 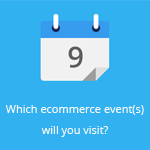 April 12, 2013 by Ecommerce News. About Software with tags The Netherlands. 2571 views. Who will win the European E-commerce Awards? April 8, 2013 by Ecommerce News. About Awards with tags Europe. 2323 views. April 3, 2013 by Ecommerce News. About Statistics with tags Europe. 3743 views. March 12, 2013 by Ecommerce News. About Cross-border with tags Europe. 2880 views. February 25, 2013 by Ecommerce News. About Payments with tags Europe. 3153 views. January 31, 2013 by Ecommerce News. About Payments with tags France. 2739 views. January 25, 2013 by Ecommerce News. About Payments with tags Europe. 3662 views. January 18, 2013 by Ecommerce News. About Search with tags Europe. 61351 views. December 20, 2012 by Ecommerce News. About Logistics with tags Europe. 2694 views.